Seeing how much I love doing nailarts and knowing how important it is to keep those nails healthy, Jaclyn did a nail mask treatment for me. For just S$30, you can protect and keep your nails healthy. It’s as important as how we need to moisturise our face everyday and for just S$30 (S$1/ per day), you can help strengthen and keep your nails shiny and healthy. You don’t have to do this every month but once in 2-3 or even 3-4 months is good enough. 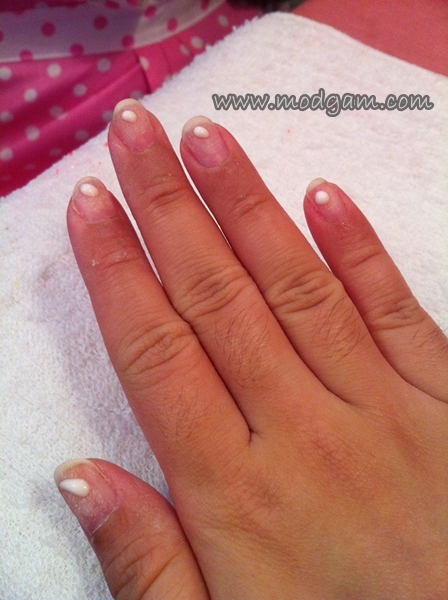 You can see my badly damaged nails and the difference after the mask treatment. 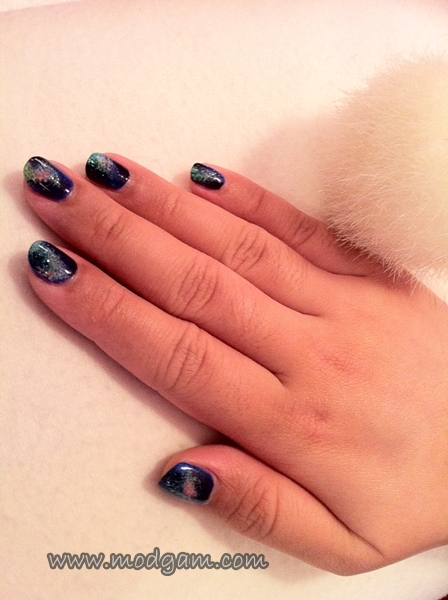 Jaclyn did it again and I’m gona WOW you literally with my amazing crazily gorgeous galaxy Nails! No need for words for I shall let all the pictures do all the talking. Be sure to give Luxewomen a call and book your appointment and these gorgeous nailarts can be yours too! Don’t know what you are looking for? CALL Luxewomen! I can confidently tell you that with their help, you will be able to create a design of your liking. PROMOTION FOR MY READERS AT MODGAM! Pssstt, Luxewomen is also on Instagram and Twitter! Wow they look amazing! Mine are so thin they are always breaking. 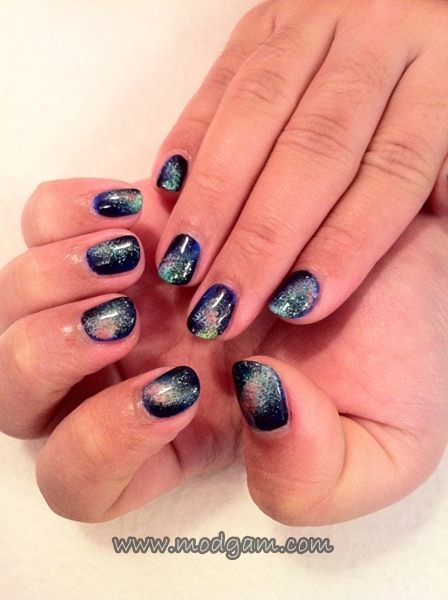 I’m loving the Galaxy nails! I love being creative with my nails. At the moment I have alternate nails in pale lemon & pale blue with multi-coloured glitter over the top! Unfortunately it’s smudged a little as I didn’t leave it long enough to dry (I’m too impatient!) but it still looks nice! 🙂 I should probably think about using a nail treatment though as I probably don’t look after my nails like I should do. Ur nails sound nice too Claire. I love being creative with my nails too. Its all about havinf fun with it. Ya, the nail masks are really good. 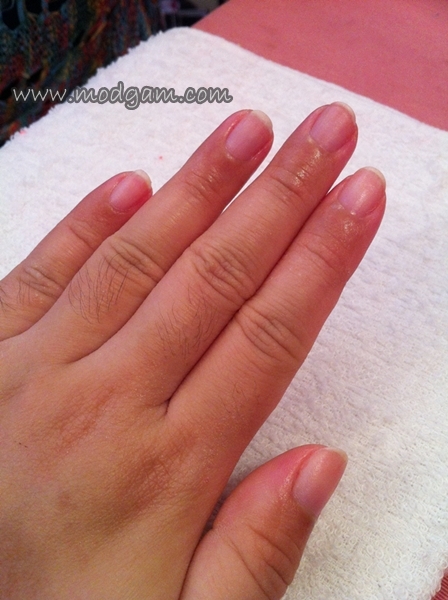 Beneath all the paintings, i hope to see healthy nails instead of yellowish, cracks nails when i remove the nail polish. Luxewomen – No Sense of Direction « Modgam's Playground; Fashion, Food, FunFinds.